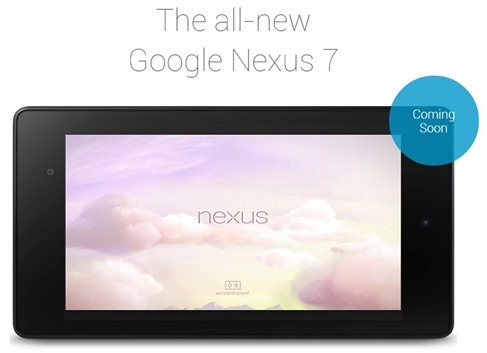 Google has updated their Nexus 7 India website and have marked it as “Coming Soon”. This is a sure-shot indication that the new version of Nexus 7 that was launched in US on 26th July on this year will soon be arriving in India. Although, there is no confirmation on date, it can be assumed that it may arrive in next couple of weeks, just in time for your Diwali shopping. Keep a close eye on Google play store’s devices section, it will pop-up on your screen one of these days. This impending launch of 2nd generation Nexus 7 has also ensured that prices of current generation Nexus 7, which was launched last year have come down significantly. Although, the price on Google play store for these devices is same (Rs. 15,999 for 16GB & 18,999 for 32GB), other retailers have marked down the prices significantly. For example, the the 16GB version on Flipkart is available for Rs. 9,999/- and with offers customers can get it for as low as Rs. 8,999/-. The 32GB version, with 3G facility for Nexus 7C with offers is available for Rs. 14,999/- (Original price – Rs. 21,999). Should You Go For New Nexus? To be honest, the 1st generation Nexus 7 has got specifications that should be enough for 90 percent of users out there. While there are many differences, the most important difference between previous version and the 2013 Nexus 7 is that it has a 5 megapixel rear camera and has a 1.5 quadcore processor compared to 1.2 quadcore on the previous version. With the deals that are on offer by Flipkart and Amazon, these devices come at great prices too! What is your take? Will you go for the newer version of Nexus 7 or take advantage of the deals that are available now? Innoz is World’s Largest Offline Search Engine; Answered 1.3 Billion Searches Till Now!